Japanese outlet Diamond put up a couple of new interviews this week with Nintendo president Tatsumi Kimishima. In one of the interviews, Kimishima talked about topics such as mobile. The other discussion touched on a few other things including Switch’s stock situation. Diamond first pointed out how Switch sold so much that sold out signs could be found at many stores in Japan. The publication also mentioned how one parent after another couldn’t buy the system during Christmas. In response, Kimishima said that in April 2017, Nintendo’s initial yearly sales projection was ten million units. However, at that time, that was already an unexpected number. Switch was released after Wii U, so when looking at this number people would ask if Switch would really sell that much within a year. Kimishima said with a laugh that Nintendo should have produced more units. But at that time, ten million would be an unbelievable number if they could sell that much. From the release of Zelda until Mario Kart, the momentum was so strong that stores ran out of stock. This meant Nintendo had to increase projections to 14 million units a few months ago. However, this is a 40% increase. Kimishima acknowledged that customers in Japan and Europe in particular have had trouble purchasing the Switch. Somehow Nintendo was able to increase the production structure to deliver more units by the holiday season, but it still wasn’t enough even at the end of the year. When asked if Nintendo was ultimately able to increase the production structure, Kimishima did say that they raised the capacity. The company Nintendo has entrusted with making units has also increased its production lines. Also, since certain materials are needed, they went around and asked all kinds of part makers to somehow raise production on their end. If even a single part were to be missing, the game console wouldn’t run. 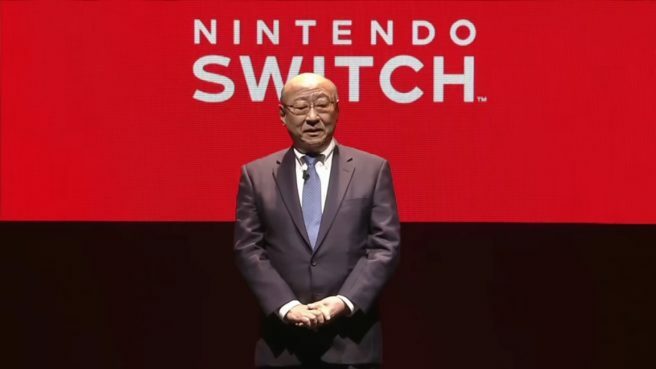 Finally, when asked if Nintendo has already solved Switch’s stock issues, Kimishima said that for the time being, as we enter the new year this still hasn’t been completely solved. Though in Japan, the situation is more along the lines where customers don’t have to wait multiple days, and if they can’t buy it in one store they can find the system at another. In other words, Switch still has its stock issues, but the situation has improved.